I purchased a small Arduino Nano off eBay recently. Not sure why but the thought of experimenting will small nodes that cost virtually nothing got me intrigued. 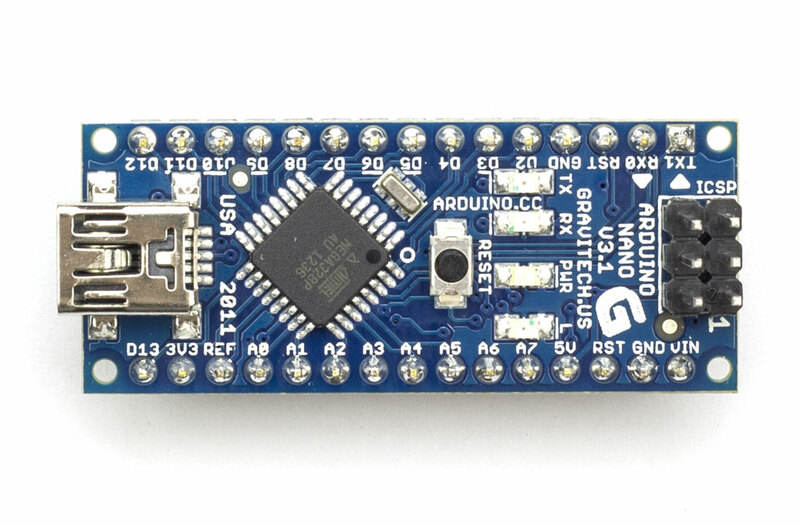 The board is very small measuring only 42mm by 18mm approximately. It is designed to be mounted onto a breadboard so that will be one of the goals for my little I/O control node project. 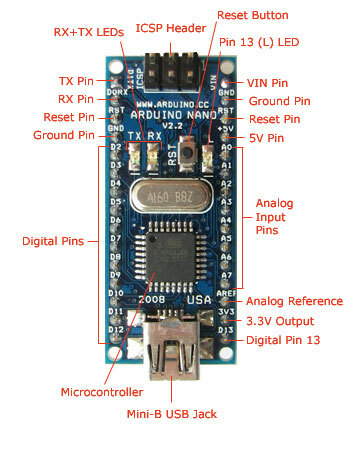 It is based on the ATmega328 (Arduino Nano 3.x). 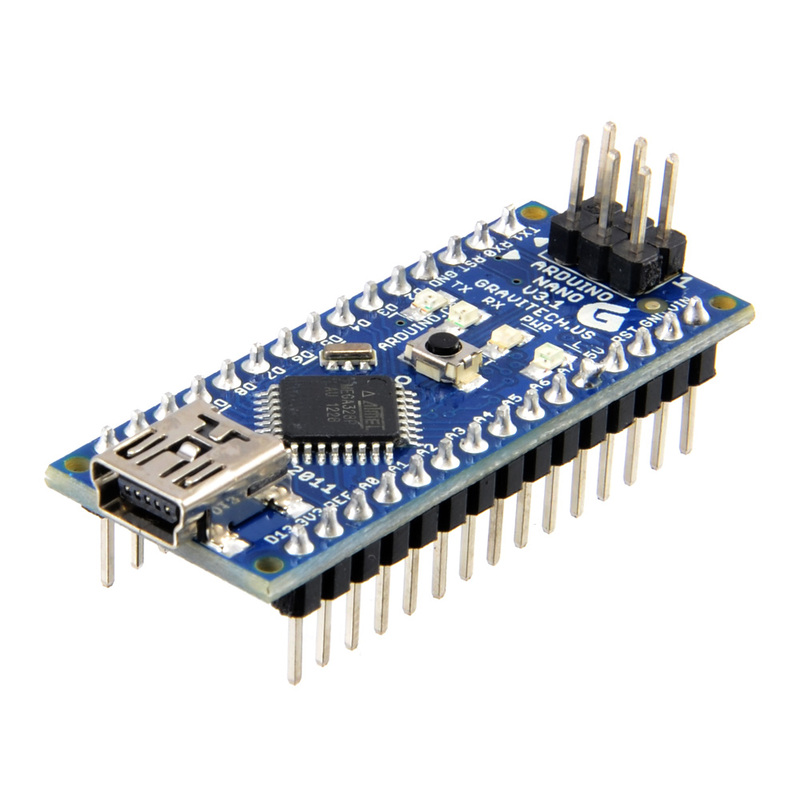 It has similar functionality of an Arduino Duemilanove, but in a different package. It lacks only a DC power jack, and works with a Mini-B USB cable instead of a standard one. /* Arduino Test app - any board type. One of the reasons I picked the board was the simple Digital output that did not have any conflicting hardware. There are pins D2 to D13 brought out to the pin headers and Analog pins A0 to A7 so lots of usable inputs and outputs. 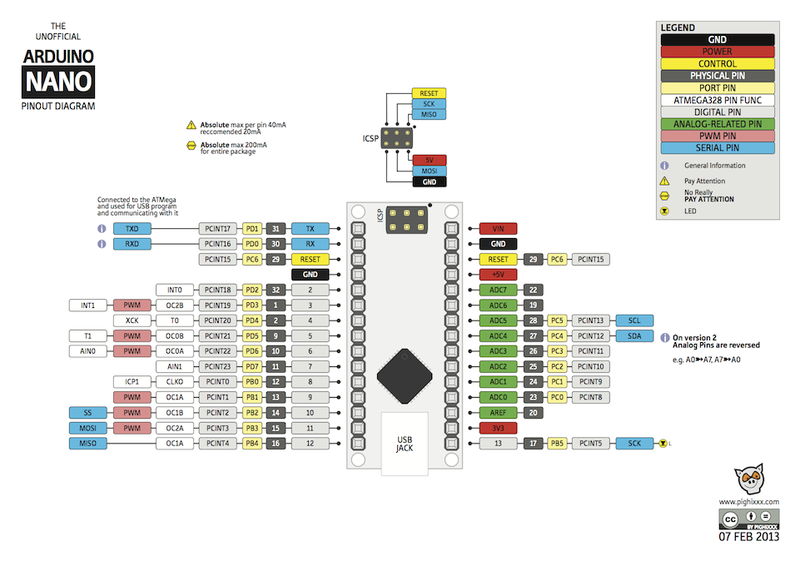 Nano v2.3 Board Layout – note that the A0-A7 pins are reverse order to the v3.0 boards. On the board I purchased (v3.1) the pins for the Analog are in reverse order so pin 26 is A7 while on the v2.x boards its A0. Not sure why the fundamental change but its worth noting. Experiment 2 driving the relay board ( A while back I purchased a relay board shield with 4 relays on it). Purchase the Nano I/O Shield and do some serious prototyping of a self contained unit that can sit behind a light switch. Connect thenRF24L01 Device to it and get it talking to another node. Once coms links are established, build a 240vac to 3.3V power supply so it can sit on the 240VAC mains power and run independently in a grid network.